The idea behind ZikoUniversity was to create a place where we could include a lot more detail on certain subjects. The Motor Control FAQ section of the website has proved very popular but there are occasions in which many people need a bit more detail. We’ve included theoretical and background questions as well as more practical studies. Questions in this section tend to be somewhat more theoretical in nature, with the FAQ section being much more practically focused questions. As always, if you don’t feel we’ve answered your question and are looking for a bit more information then please just ask. Explore the theory and key principles behind brushless DC motor operation. Click here to learn how a brushless motor works. 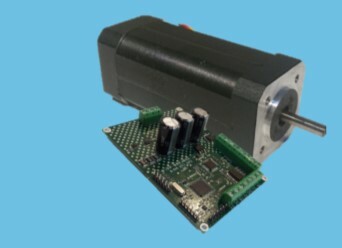 Fundamentally, the difference between sensored and sensorless brushless DC motors is simple. One has sensors and the other does not. However, there are a range of important implications of this simple difference which can have a significant impact on choosing the right option for your application. 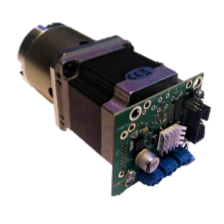 Click here to find out more about sensored vs sensorless brushless DC motors. There are a number of drive patterns for brushless DC motors including trapezoidal and sinusoidal. Click here to find out more about trapezoidal, sinusoidal and field orientated control of brushless DC motors. What is 4 quadrant motor control? Four (4) quadrant motor control enables complete control of the motor and is most commonly used in brushless DC and brushed DC motors. Find out more about four quadrant motor control by clicking here. What are the different types of brushless DC (BLDC) motor? No one brushless DC motor is necessarily like another. Click here to find out more about the different types of brushless DC motor and the pros and cons of each design. Stepper motors are widely used in positional and low speed applications because of the high levels of accuracy they use. Learn more about how stepper motors work and the theory behind their operation. Quick definitions of key terms that you may have seen but didn’t understand. Click here to browse the Zikodrive Motor Control Glossary. What is an optimised brushless DC motor controller? You may have seen us refer to optimising brushless DC motor controllers (especially sensorless brushless DC motor controllers). Find out more about the process and benefits of optimising brushless DC motor controllers here. There are a huge range of brushless ESCs on the market – many of which are incredibly low cost. In this article we look at the difference between low cost brushless ESCs and more advanced brushless motor controllers. 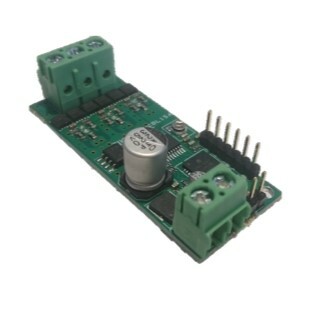 Find out more about the various ways that you can control / interface with motor controllers. From the simplest onboard pot to complete communications protocols. Use 2 variable inputs to add greater control to your application or use the onboard microcontroller and custom programming to create intelligent calibration. Find out more about how 2 variable inputs can seriously improve your performance. Find out the pros and cons of using gearboxes and the most appropriate applications for using them.